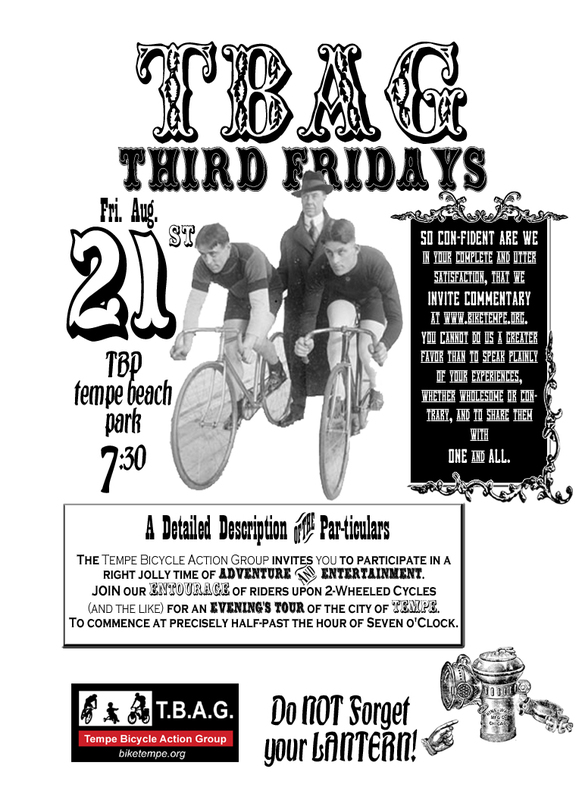 Every month, your friends here at TBAG get together and head out on the town for a “handlebar happy hour”, bike night at the Drive-In, “moustache rides” or whatever else we can cook up. It’s an awesome way to meet people, hang out at cool places, and ride bikes! No RSVP needed, just be there at Tempe Beach Park at 7:30 every 3rd Friday! I’ll be out of town Friday so I hope you do this again! It sounds awesome! TBAG Third Fridays will be a regular monthly social ride. We’ll have something new and fun every month with a different theme or area to explore!